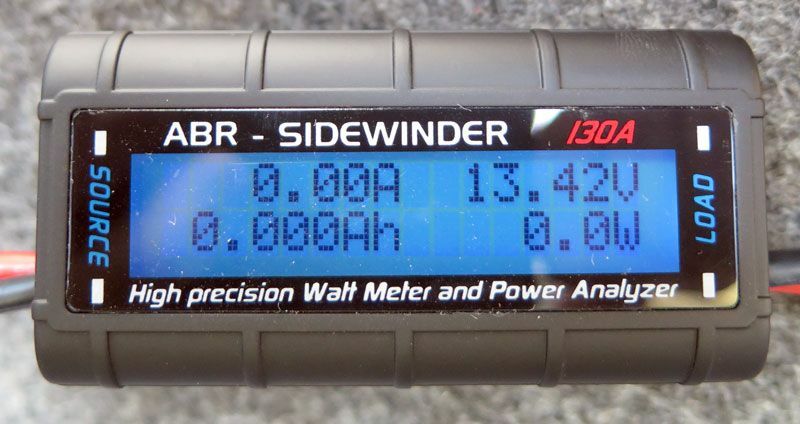 Introduction to new product - 130A Power Meter and Analyzer. 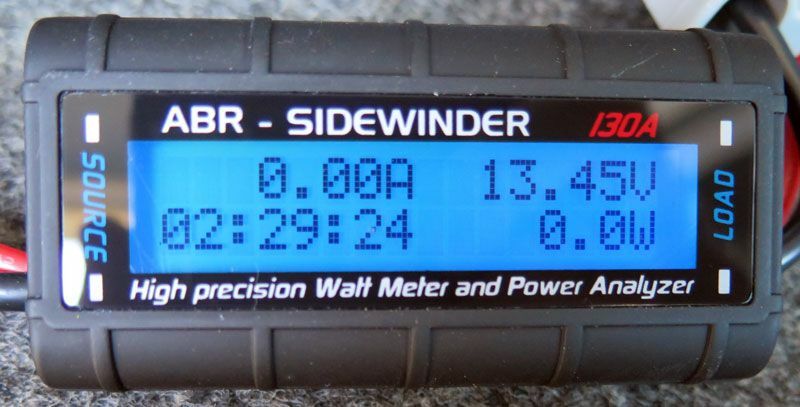 We have noticed the demand for inline accurate testing of voltage and current with a data log. This can be used for the most simple tasks. Testing batteries, chargers, alternators, isolators basically anything that can be connected inline. 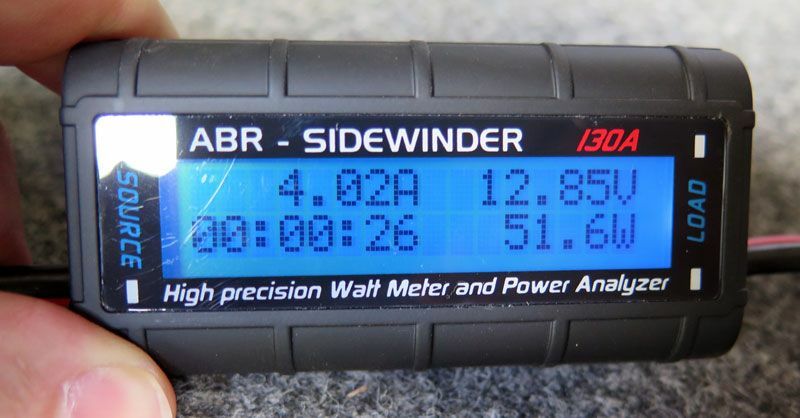 For this sample test and most other tests we find using Anderson plugs the best and easy option to simply place the Power Meter anywhere you wish. Here we are testing a pre-cooled fridge to see its power use over a given time. The aim is to see how many amp hours are used on average with this particular fridge mounted in place in a Prado running off a 12V dual battery system. Test conditions are: Ambient 34degC. Fridge 55L. Setting -5degC. Note: When using these units in fixed positions or hard wired they still need a disconnect for resetting data or error log. If using in a fixed position use a fuse, trip switch, master switch or Anderson plugs for this purpose. We are using a unit fitted with Anderson type plugs as we have Anderson plugs fitted to our fridge. On power up we only have a voltage reading, all other values are zero. hours the fridge has actually run. requirements etc using these values. 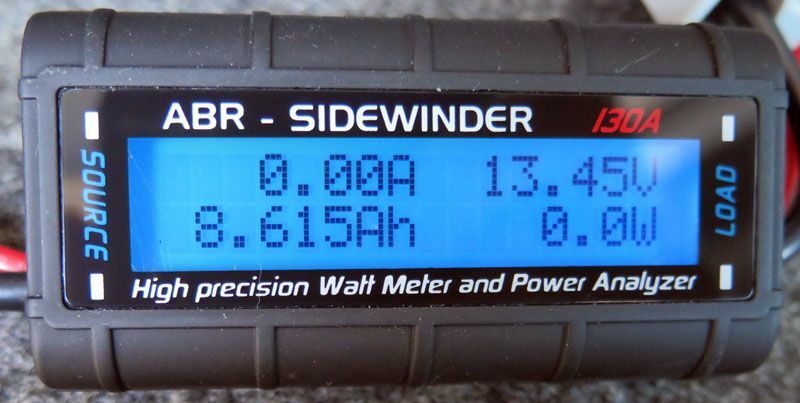 Summary: This particular fridge averages 1.75 amps per hour over a 24 hour period (42ah total). Note: Due to time constraints we could not perform a 24 hour test which would have been ideal.